Get the best window treatment for your home with plantation shutters. This style of shutter is less expensive compared to the custom draperies and is also versatile and it helps to add excellent value to your home. Besides, this is the only style of window treatment that can stay with your home, if you want to sell it. 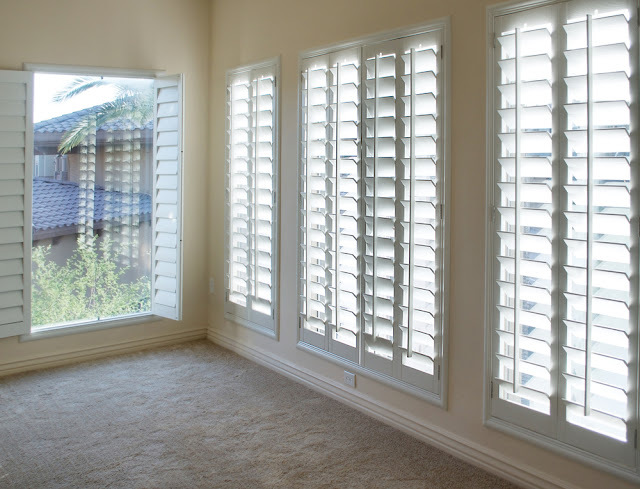 While you may invest in plantation shutters when constructing them, it will earn you back when you want to sell your home, which is very much unlike most of the other types of window treatments. Often the price is quite reasonable and amicable in contrast to other types of windows made out of pure wood or other material. It serves as a popular choice for your kitchen, living space, bedroom, etc. You may buy custom plantation shutters designed for your home windows or ask the company you hire to take the measurements of stock panels and create the shutters that fit properly. The price is more or less similar for both. If you are looking for the most affordable plantation shutters for windows, then faux wood is a great choice. It costs less than you had imagined and it is available in varied paint shades. There are other choices too for plantation shutters that are within reach of your budget like classic poplar hardwood and express polyvinyl. Here, take a look down the list to know about three most popular types of affordable plantation shutters for windows at home designed with faux wood/express polyvinyl/classic poplar hardwood. Cafe shutters- These are most popular with those who want privacy at home and at the same time want to enjoy the outside scenario. The shutters are designed to particularly cover the lower portion of the windows. The most appealing aspect of this kind of shutters is that the upper portion has no covering except that you can use curtain or roman blinds for in, especially in the evening. Choose wide panels if you intend to keep close the shutter panels. The fewer the shutter panels, the more it is likely to create open space for your room. However, if you want to keep open the shutters on almost every day, then the narrow panels will help to fold them back more easily. Choose faux wood or express polyvinyl or classic poplar hardwood for designing the shutters as they ensure affordable deal for your window treatment. Full height shutters- As the name suggests, this classic plantation shutter help to cover a whole window from top to bottom that can be opened as one piece. You can choose the number of shutter panels that you want, ranging from 1 to 2 or 6 to 7, which are much narrower and hinged together. The best thing about full height shutters is that they create simple, clean-lined and open look. Keep it within budget by purchasing full height shutters that are made out of express polyvinyl, which is simple to install and is reasonably priced as well. Classic poplar hardwood is commonly used for making plantation shutters owing to its demand for smooth grain quality in it. Yet again, faux wood is regarded for its great value and perfect look for its appeal. Tier on tier shutters- These are particularly designed to allow you open its top section independently from its lower section. If you want privacy and abundant light to fill in your room, then this would be your best choice. Tier on tier shutters are highly regarded if you want to open its top panel more often. Thus, to get stunning looking and affordable plantation shutters for windows follow the tips above and make the right choice for your home. Moreover, if you want to know more about plantation shutters then please keep in touch with us here.